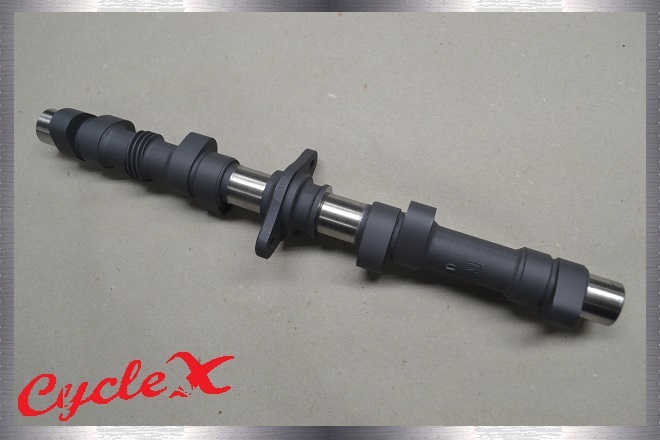 These camshafts are sold on a exchange basis. 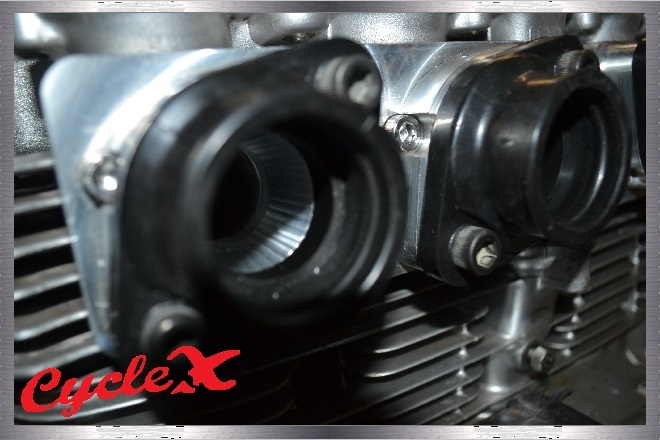 TECH TIP: Soak cam chains in oil before installation, they will last longer. 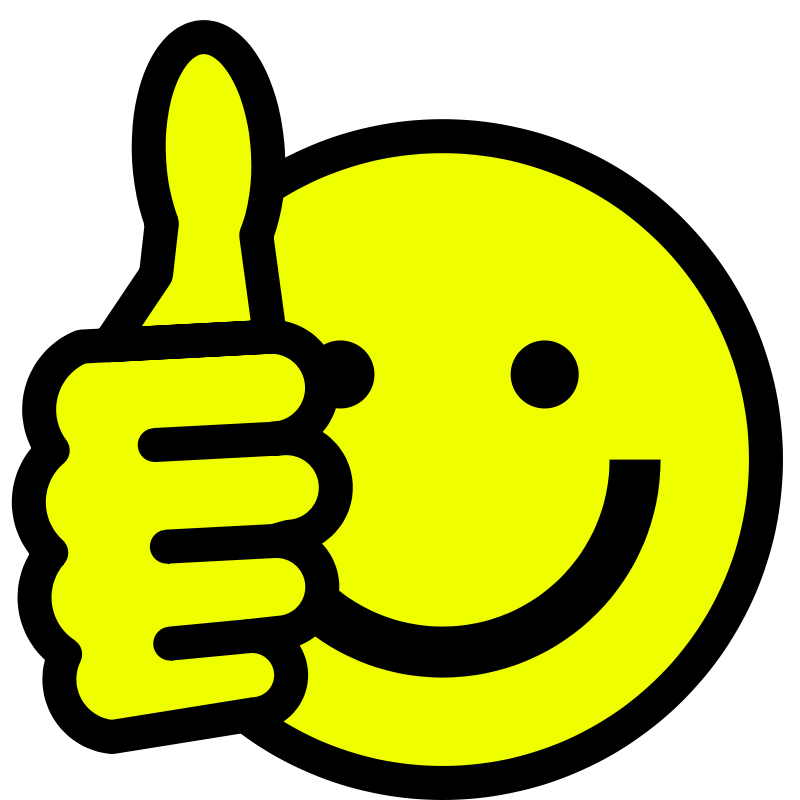 Here is what we have been working on! 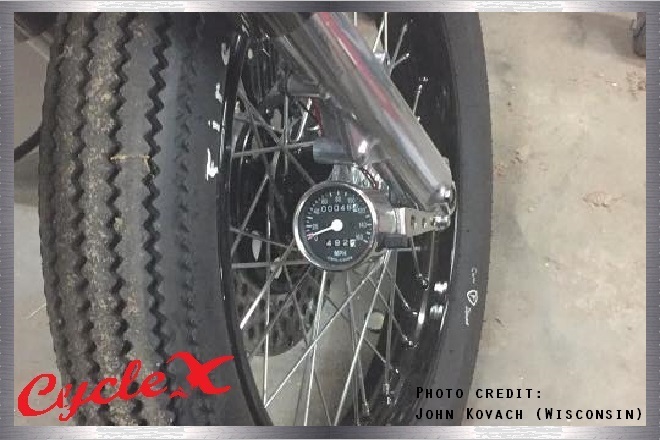 Father time is catching up with many stock components and it makes life difficult for vintage mechanics and enthusiasts. 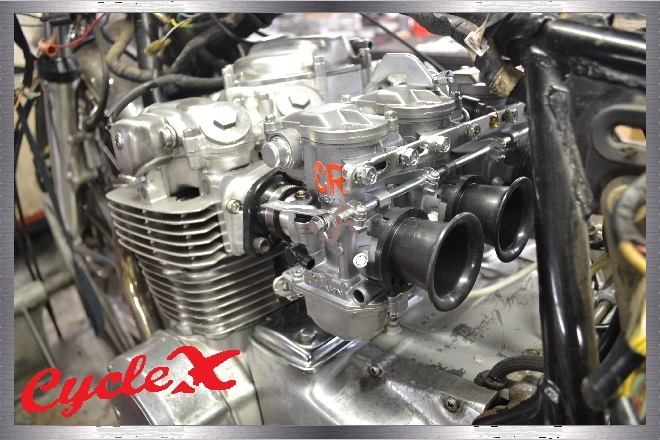 Honda cb500 and cb550's carburetors have their own challenges to overcome at times. No room for individual air pods. 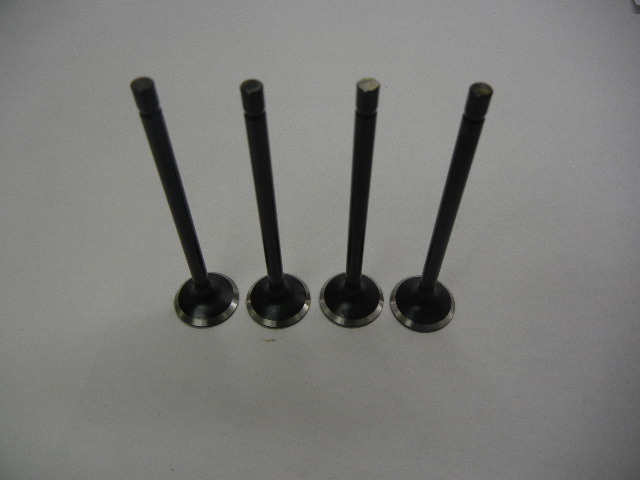 Jetting stock carbs for pods or stacks can be time consuming. 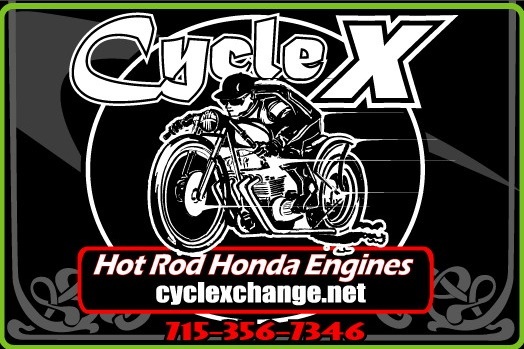 CR special carburetors still have a pod clearance problem. 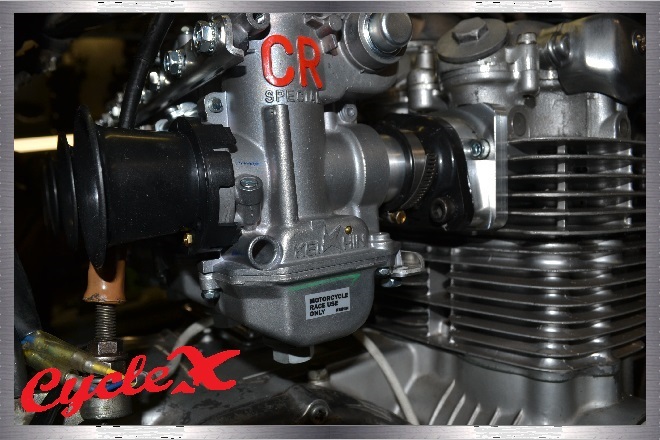 Our Cycle X intake system features a straight, direct shot for the intake charge and will be available with 2 carburetor versions. 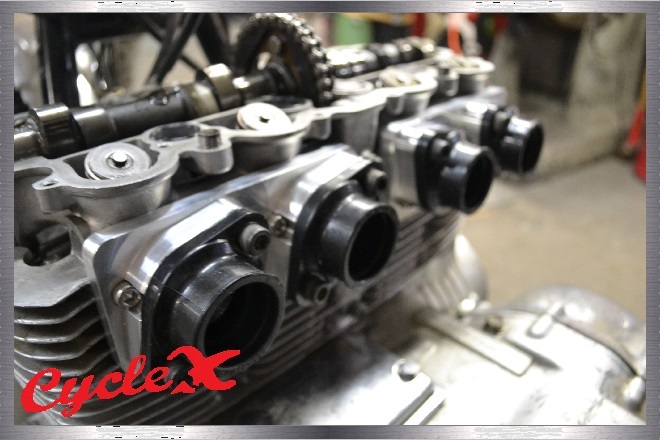 #1 version will have our intake manifold with 26mm CR special carburetors (bigger carbs available for you racing folks). 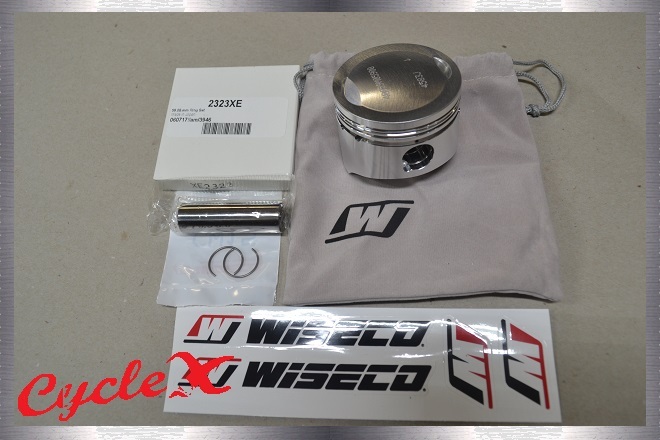 #2 version will have the high-performance carbs shown in the photos. 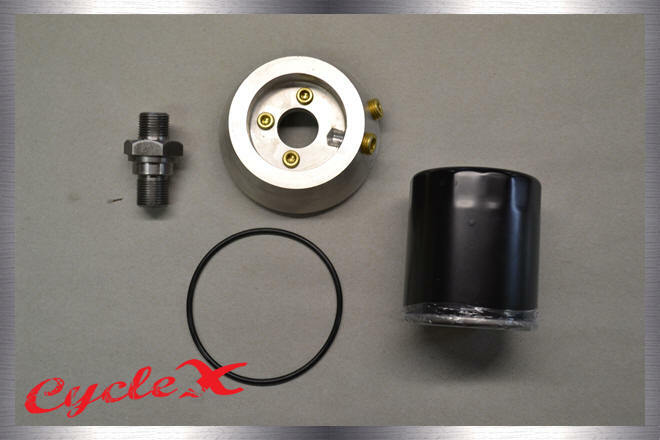 Cycle X direct shot intake adaptor. 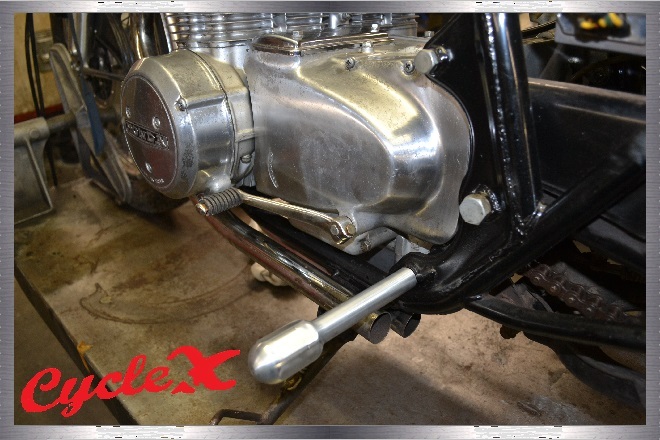 (4) carburetor mounting rubbers and hardware. 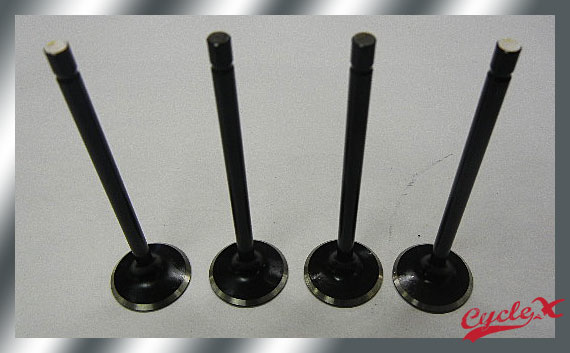 and Ignition Coils that were designed in the 19th Century. Here is the bad news! 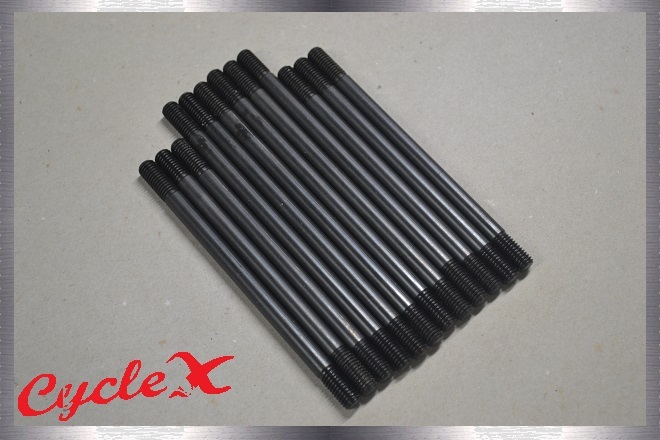 The illustration below shows the inconsistency of Magnetic sensors. impression the motor is not internally balanced properly. 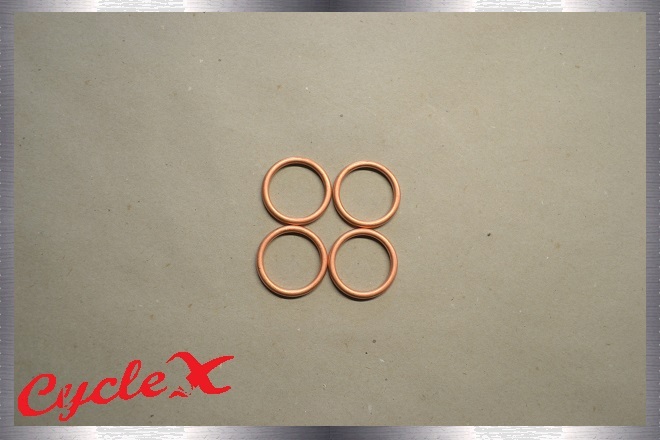 The coils (paper wrapped) is considered to be early 1900's technology. 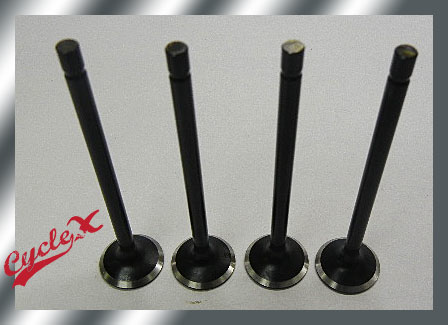 This Ignition causes coils develop excessive heat and are prone to failure, due to lack of dwell control leaving the coils on excessively. 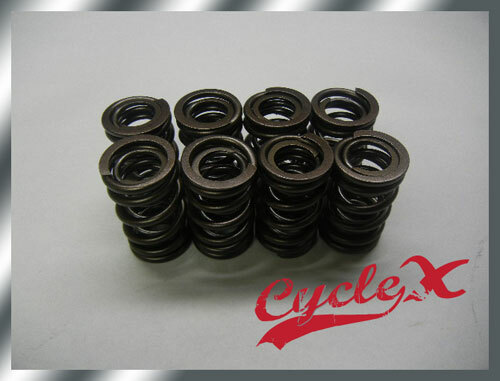 Leaving the ignition switch on can cause failure to the coils or the Dyna "S" or both. 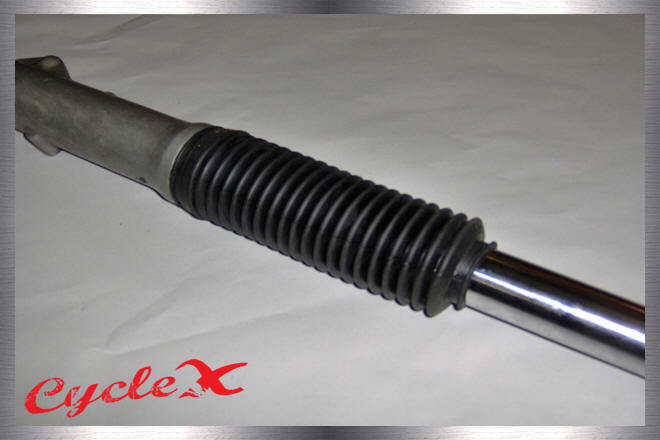 Our ignitions have an automatic shut-off coil shut off to prevent such heat and failure. Dyna 2000's claim to have an coil-off situation, but the minute the motor is turned over they stay on and key must be shut off if engine is killed. 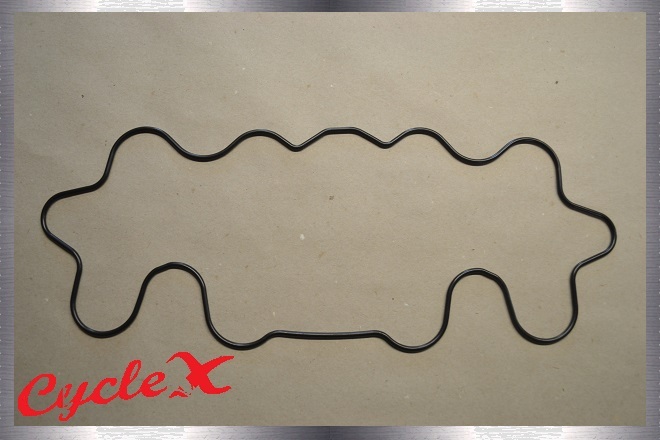 Ever wonder why most racers carry extra sets of coils? Call for availability, redesigning ignitions. Up to .440 Lift. Comes with instructions. 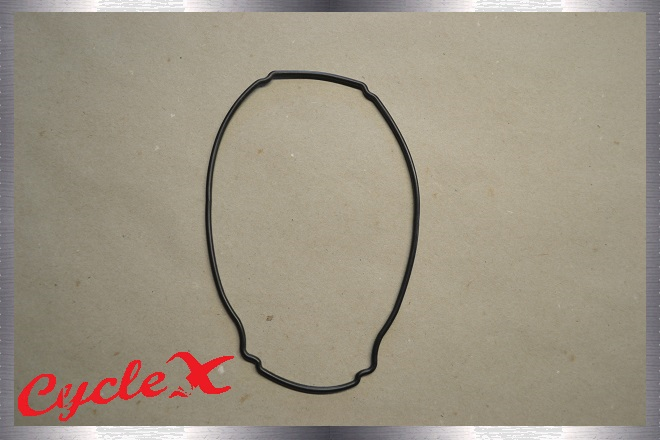 Cycle X Piston Gasket Combo is the "BEST". Here's why! 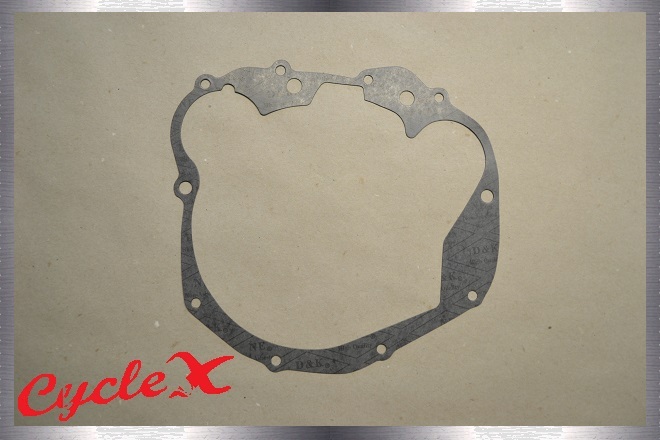 Who makes the best complete gasket sets for Honda CB500s? 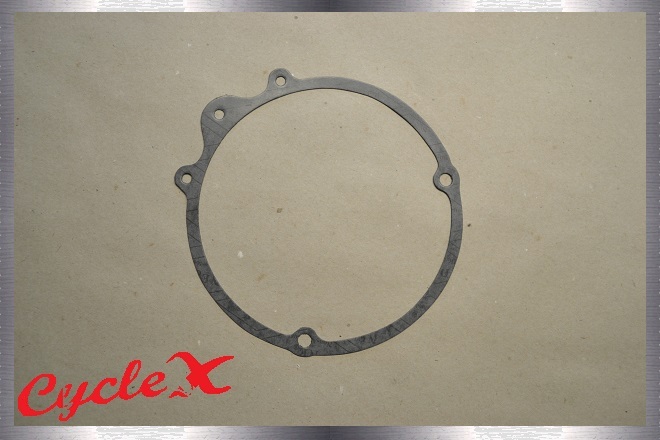 We feel 99% of the gaskets are adequate except for the head gasket. 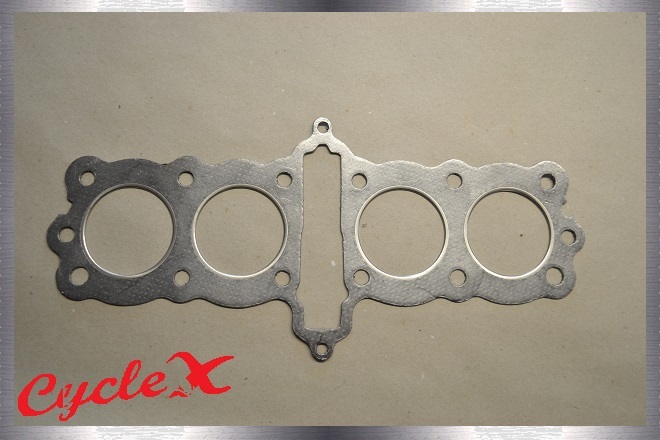 Our tests show, most conventional head gaskets can and will compress up to .015 after a short period of time. 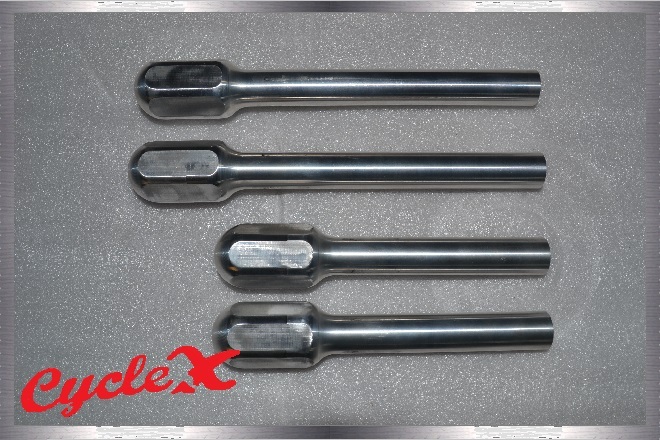 If the head nuts are re-torqued, in time...weepage can result. 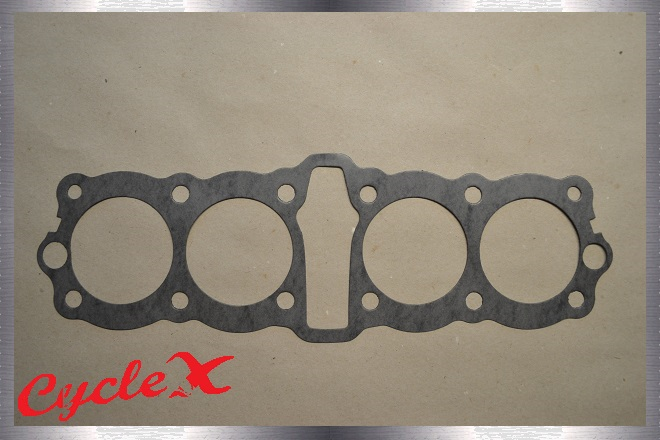 We included a MLS head gasket with a conventional gasket set to cure the above mentioned problem (no re-torqueing needed). 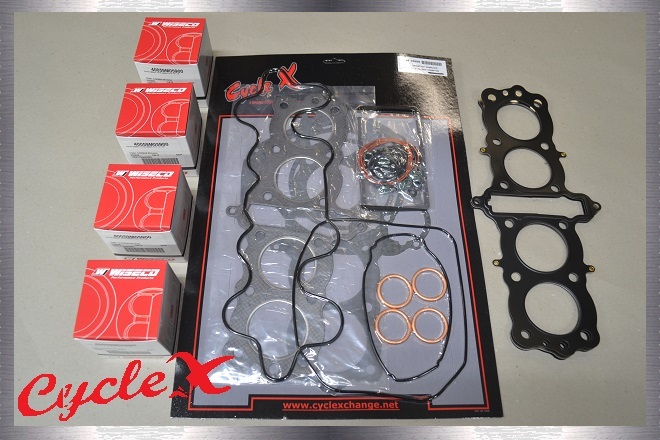 MLS head gaskets for Honda cb750, 500 and 550 inline fours were funded, tested and introduced to the public by Cycle X. 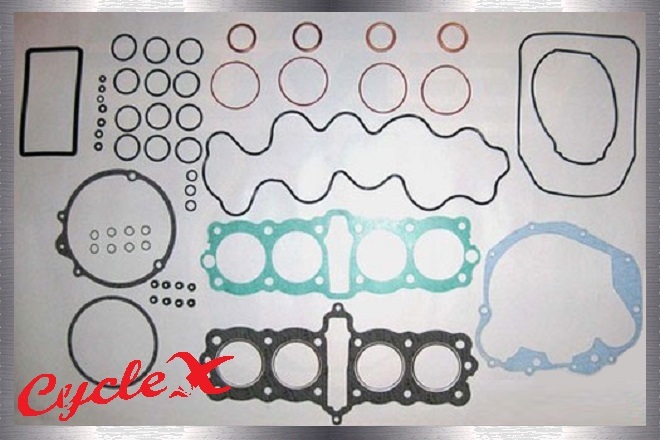 Note: Head gaskets are offered in 59mm, 61mm, and 62mm bore sizes (.030 and .040 thickness) 59mm (.030/.040) and 61mm (.040) temporarily out of stock. 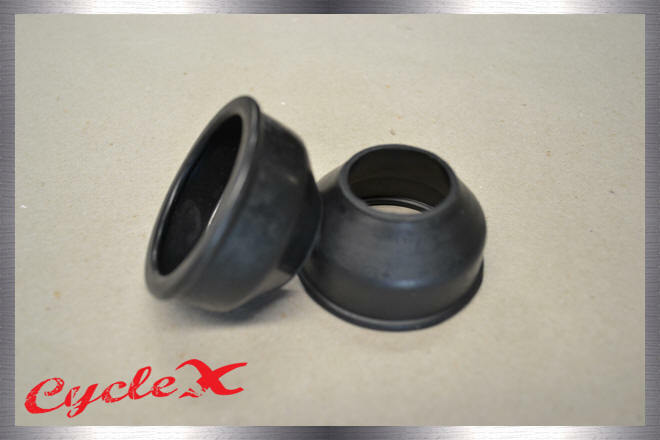 59mm (.030/.040) and 61mm/.040 temporarily out of stock. 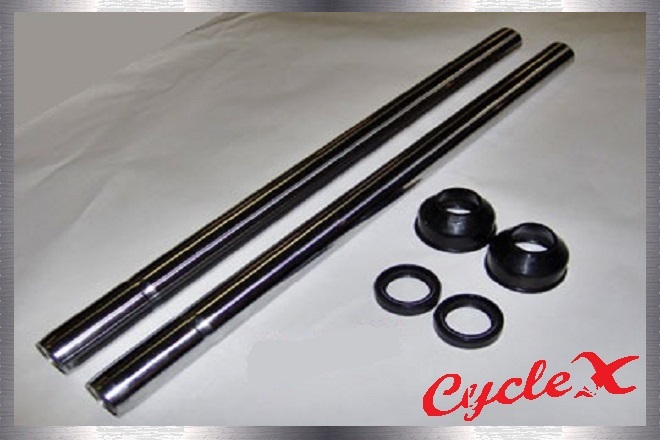 New fork tubes by Cycle X are made with industrial hard chrome and fit Honda CB550's. Now comes with seals, but boots sold separately. 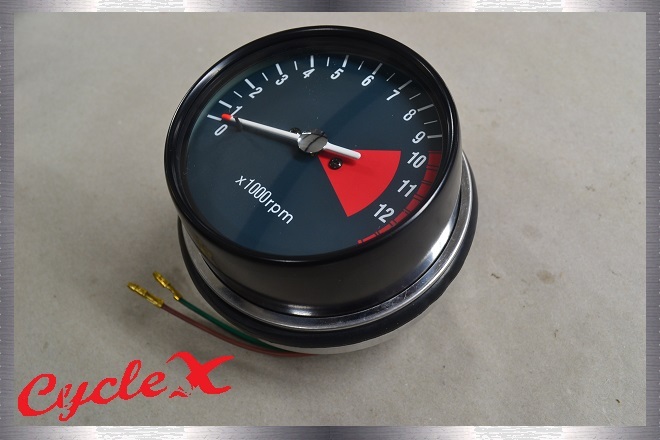 Reliable tach reading up to 12,000 RPM. 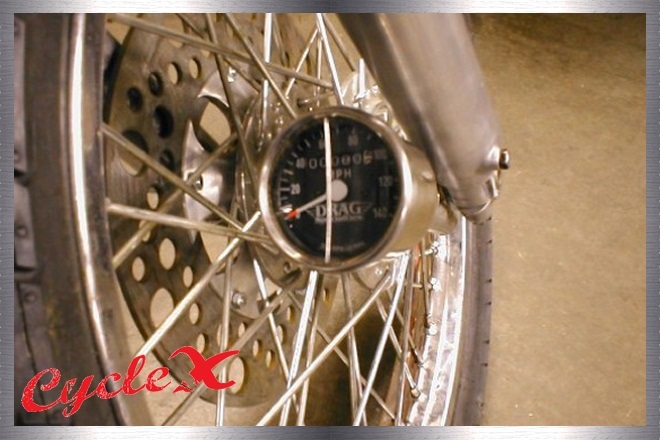 Cycle X Shocks the world again! 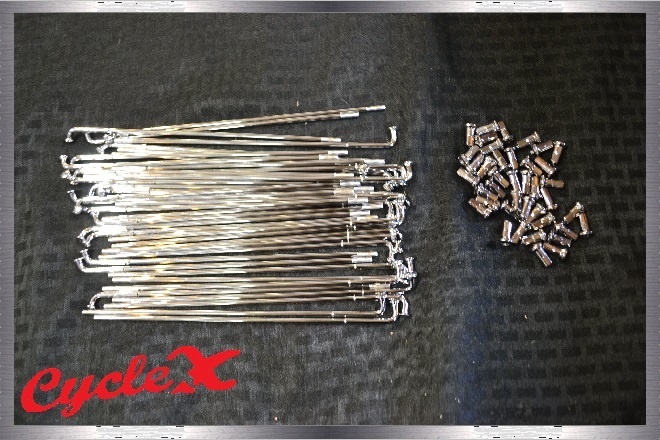 Shoutout to Will Bass and John Kovach (customers of this attachment) for the pics! Mini speedo attached to the front wheel drive unit. We think this is sooooooo cool! Question: Can you see the speedo while driving down the road? Question: Has this ever been done before? Answer: Maybe, but someone will copy this. NOTE: Also now available in black! 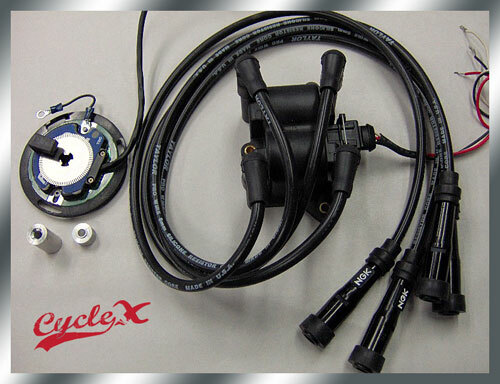 This super innovative speedo kit includes: Speedo, adaptor, and special cable. 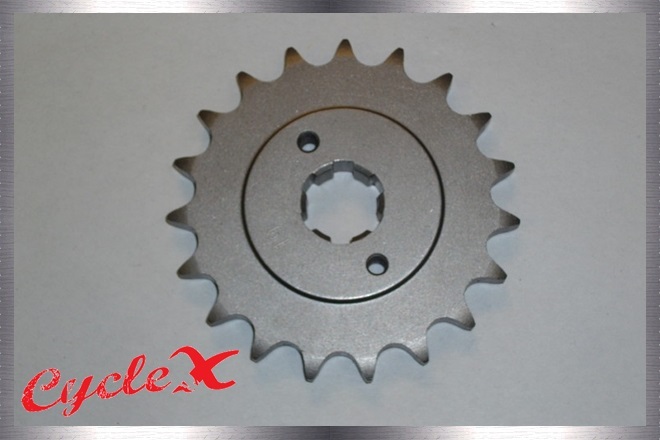 This front sprocket for a 520 chain comes in your choice of 17 or 19 teeth. 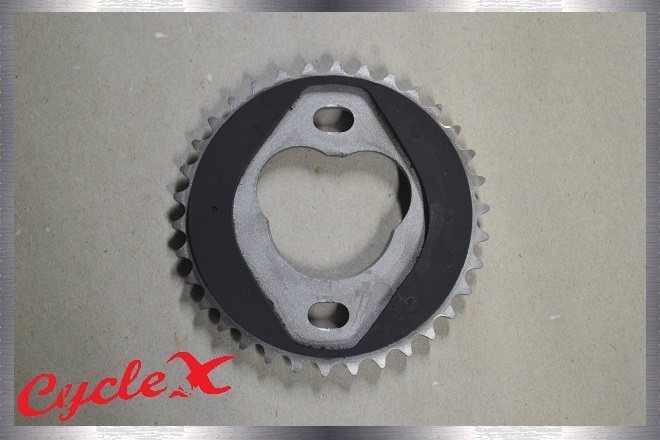 Honda cb750 19 tooth front sprocket. 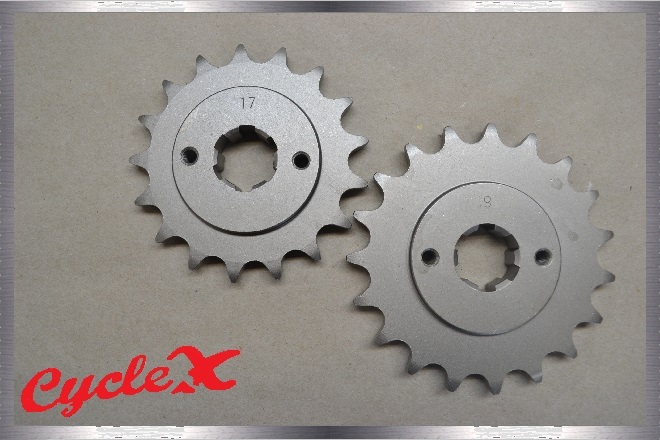 Currently the largest front sprocket available is 18 tooth. 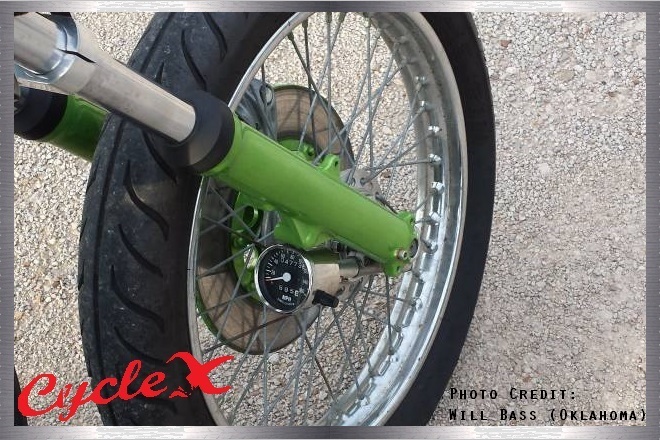 Some people use Harley wheels on their custom projects. 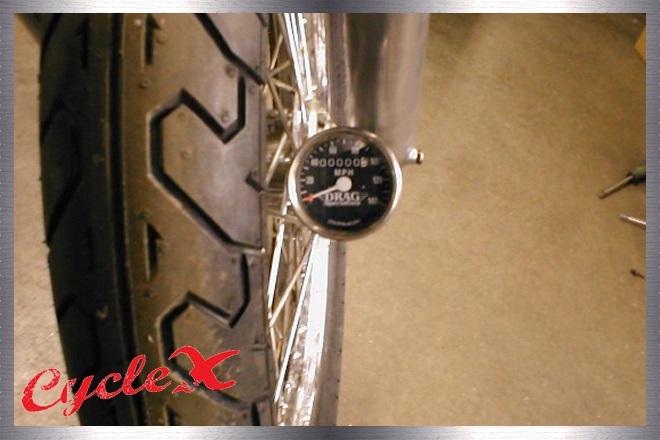 Harley sprockets generally use 48-51 teeth which makes Honda rev a bit on the highway. 19 tooth front sprockets will cure this ratio problem. 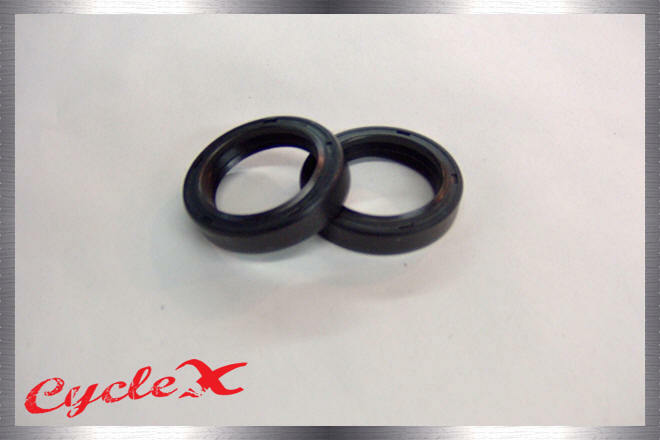 Also, these sprockets were developed for our Honda trikes for the above mentioned ratio fix. 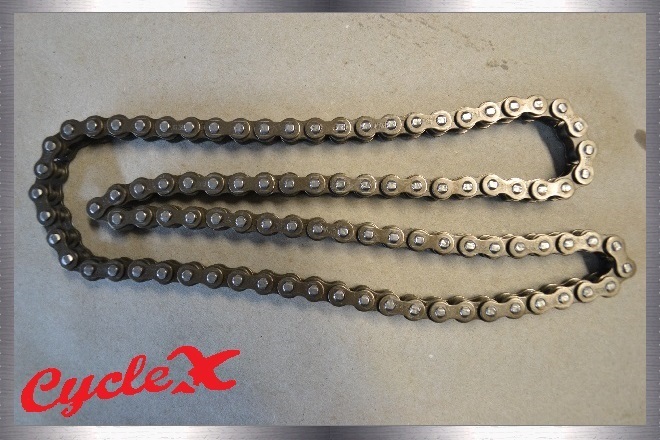 Fits your 530 chain, years 69'-78'. 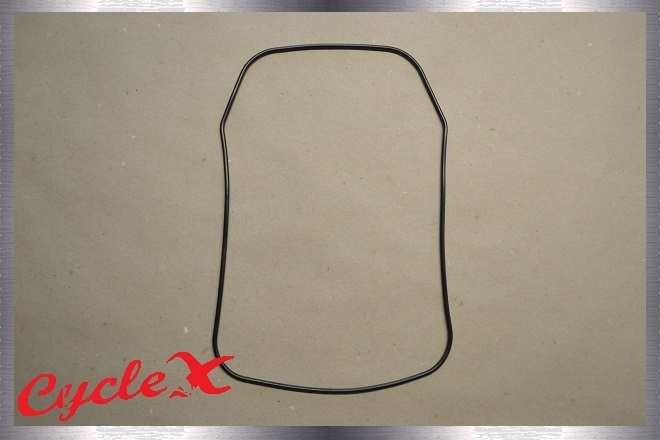 Note: 77-78 came with a 630 chain which can be switched to the preferred 530. 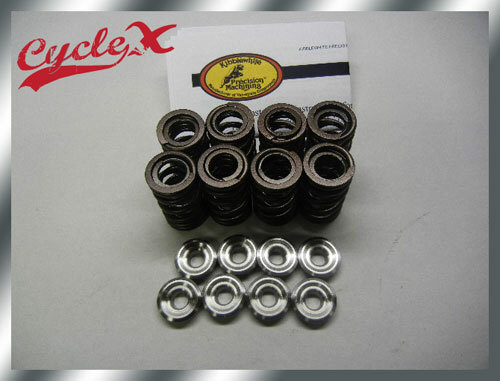 These combination foot peg motor mount nuts will make your life easy. 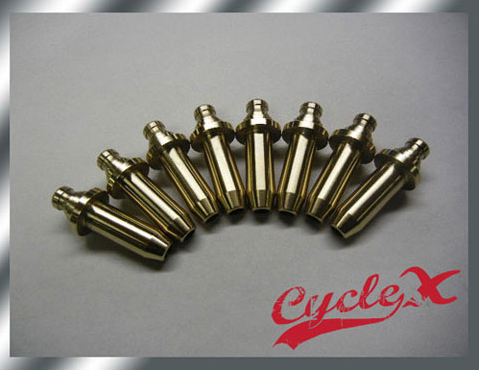 Alloy foot pegs available in 2 lengths. Install the foot pegs and tighten (done). 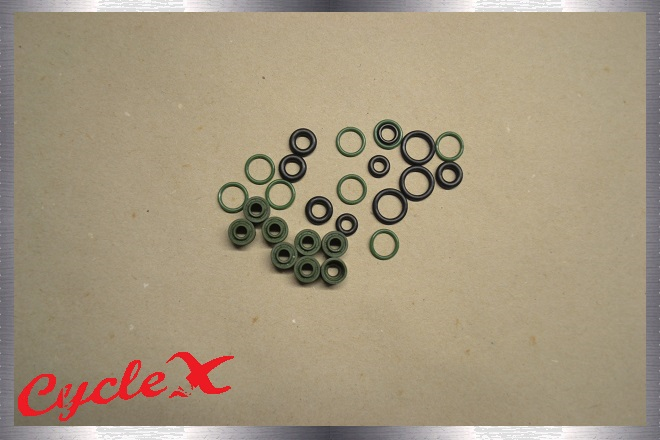 The tach plugs that you have gotten from other vendors don't plug the leak from the tach hole in the valve cover. This is was such a no-brainer solution to a simple problem, we're surprised that nobody else has done it. Well, we did it.